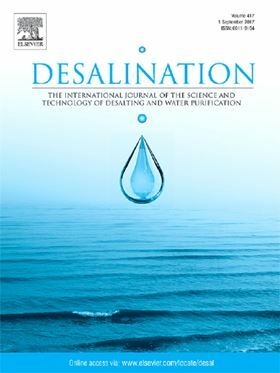 The research article 'Nuclear desalination: A state-of-the-art review' has been published in Elsevier journal Desalination (Volume 457, 1 May 2019, Pages 39-61). Thermal desalination is an energy intensive process that satisfies its requirement from conventional fossil fuel sources. Current research efforts aim at finding alternatives for fossil fuels to power thermal desalination. Nuclear energy offers a feasible option for power cogeneration and production of fresh water due to the significant amount of recovered useful heat. The heat is exploited to produce steam and generate electricity on-site to power thermal and membrane desalination facilities. Large or small/medium nuclear reactors (SMR) can be used. This paper reviews the various aspects of nuclear desalination, the different nuclear reactors that have been coupled with desalination processes, and the hybrid desalination systems coupled with nuclear reactors. It also discusses the safety and public acceptance for the nuclear desalination practices as well as the latest economic studies and assessments for on –site nuclear desalination power plants. Ten main projects around the world are primarily operated as nuclear desalination plants. The major desalination processes coupled with nuclear SMRs are MSF, MED and RO. The cost of water production using nuclear desalination was estimated to range from 0.4 $/m3 to 1.8 $/m3depending on the type of reactor and the desalination process used.